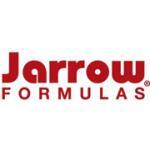 Jarrow Formulas NAC Sustain is in a special Sustain bilayer Quick Release/Sustained Release format of N-Acetyl-L-Cysteine (NAC). Carbomer, calcium phosphate, cellulose, stearic acid (vegetable source), magnesium stearate (vegetable source), silicon dioxide, beet root powder (for color) and an aqueous-based coating. 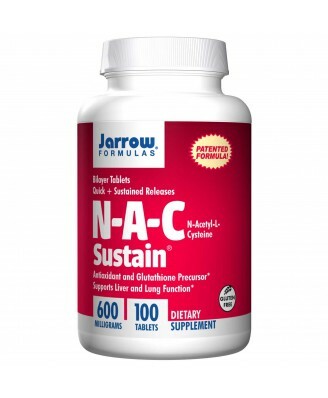 NAC Sustain is in a special Sustain bilayer Quick Release/Sustained Release format of N-Acetyl-L-Cysteine (NAC), a powerful antioxidant amino acid and a precursor to the critical antioxidant glutathione. 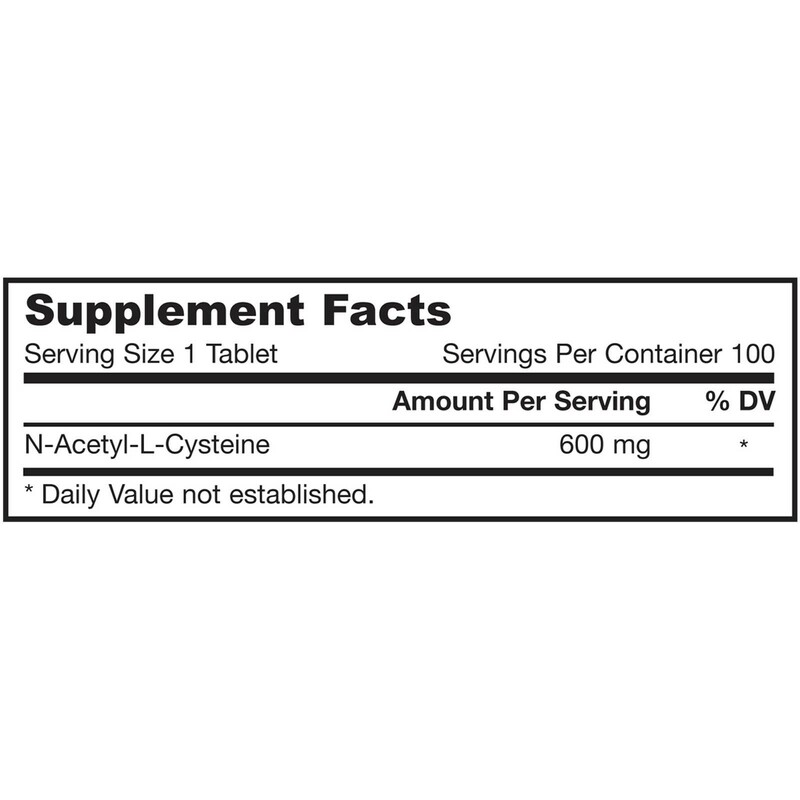 The advanced bilayer Sustain tablets combine 1/3 Quick Release and 2/3 Sustained Release formats to both immediately raise and to maintain blood levels over a longer period of time. 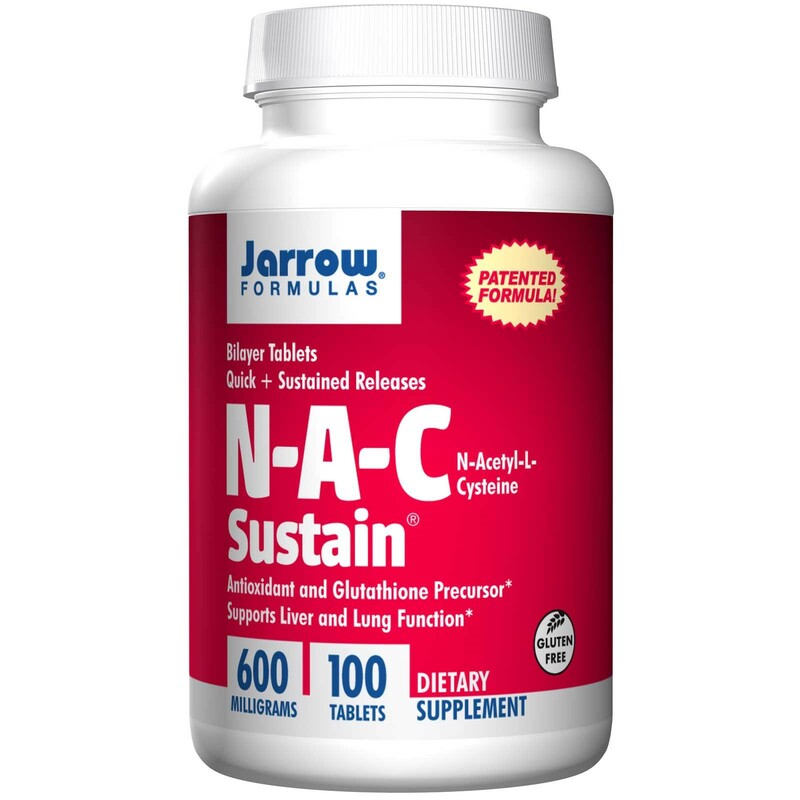 NAC Sustain releases in the small intestine over a 8 hour period, compared to the 1.5 hour biological half-life of NAC in the bloodstream. Take 1 tablet 1 to 2 times per day, preferably on an empty stomach with fruit juice, or as directed by your qualified healthcare professional. Note: Prolonged or elevated intake may alter liver function tests without affecting actual liver function. Inform your physician that you are ingesting NAC if you undergo liver function tests.